Last night i have taken lots of picture of my brother birthday with my Canon PowerShot SX410 IS camera. But today when i was emptying some space from it i have accidentally erased all those pictures. I am very tensed now. 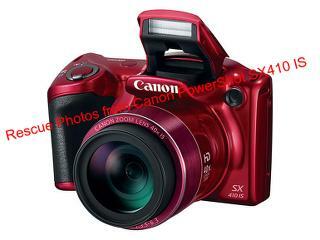 Can i rescue photos from Canon PowerShot SX410 IS?